Biodiversity is an important indicator of ecosystem health and stability, and is usually in conflict with monetary ambitions. Oil drilling will soon begin in Yasuni National Park, Ecuador, which has been named the most biodiverse area on the planet, and also one of the most fragile. Leaves on the ground are usually considered an annoyance and an eyesore for homeowners, but to many organisms they are an important nutrient and habitat source. 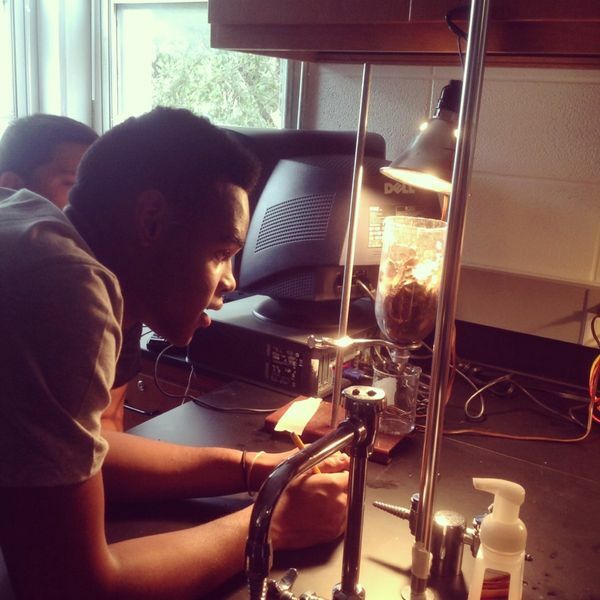 Students in environmental science are calculating the biodiversity index of their own community by analyzing the variety and abundance of organisms, from spiders to centipedes, in their litter sample.